The Afinia H-Series is wonderful but I wish there was a cover for its exposed fan. It doesn't hurt to touch it but when small kids are around it is better to have it covered. Today's design is based on the bottom half of jlark's Extruder Fan Duct on Thingiverse. 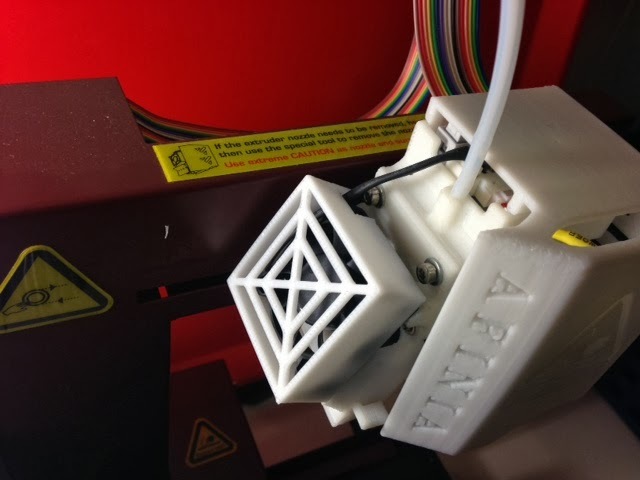 Settings: Afinia 3D software at .25mm fast settings, print time of about 29 minutes.